In the last few days, we’ve been giving a preview on some of the favorites to compete in the Men’s and Women’s Elite Races in Tabor. Although we mentioned many of the Canadian riders as international racers who should look out for, we wanted to offer you an in-depth look at some of the names that will be representing the Maple Leaf this year. 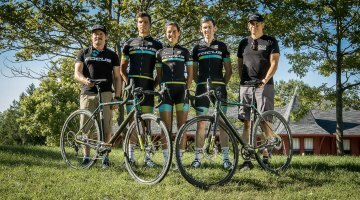 Canadian contributor Michael van den Ham asked each of the Elite members a few questions about their entry into cyclocross, their preparation for the World Championships, their ambitions for the race, and their bikes. Much like their American counterparts, raising the money to attend World’s is a continual financial headache for many Canadian riders: be sure to check out our full explanation of Canadian funding. For our friends in the north, a great deal of preparation and sacrifice goes into being able to represent their country on the big stage. 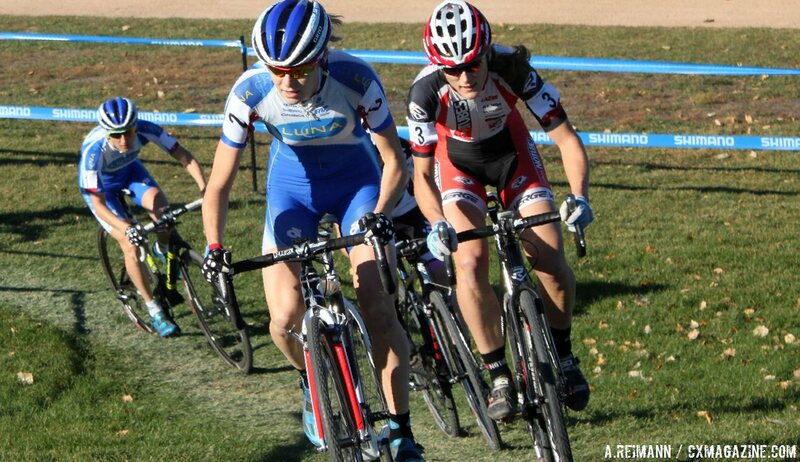 Tabor will mark Mical’s fifth time representing Canada, her second in Cyclocross. 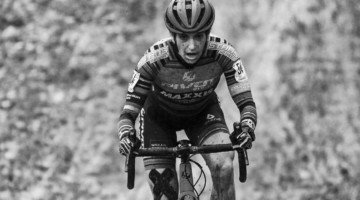 While Dyck is most well known as a mountain biker, over the past few years has earned her fair share of Cyclocross success with the NoTubes Elite Cyclocross team. Most notably, she claimed the National title in the 2012/2013 season and rode to an impressive 17th place in Louisville that year. Of all the Canadian rider, Dyck is the country’s best hope at landing a result inside the top-15. Her ability to do so should only become more likely if snow begins to fall on the Tabor course! 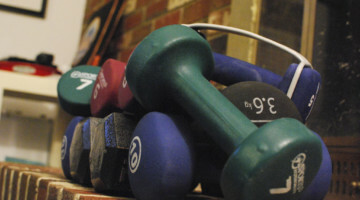 What have you done in the months/weeks prior to the project to mentally, physically, and financially prepare? I ramped up my volume following my last race in December in Washington to try to build the fitness that I seemed to be missing this year. January I switched to full-on interval mode. I am teaching spin classes at the Loft in Victoria, and I told everyone I was sorry but they were doing my workouts till Worlds! Mentally I’ve been working on convincing myself that I’m as fast as the fully pro women. Financially it is always a bit of a struggle for me. Mentally as well. I quit my big girl job in August to follow my passion, but found that I’m now working three jobs just to try to keep things rolling. When I made the decision to come to Worlds, after some trepidation I did a GoFundMe page that really did very well. I was amazed and totally surprised just how supportive the community is in Canada and how excited people are to help me on my journey. 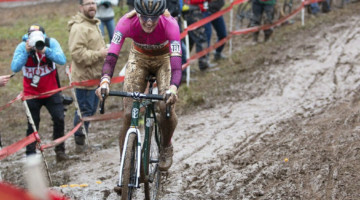 What brought you into the sport of cyclocross? 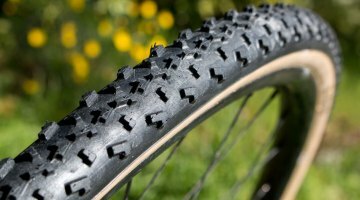 I come from the mountain bike side of cycling, so I love the technical aspect and the mud. But I also like the solo battle both externally and internally during a race. 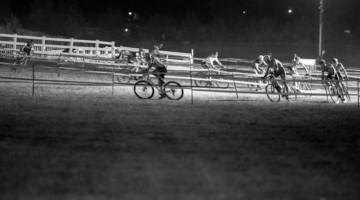 I’m drawn to cyclocross because of the intensity and excitement of the sport. And the culture and fans are some of the best! 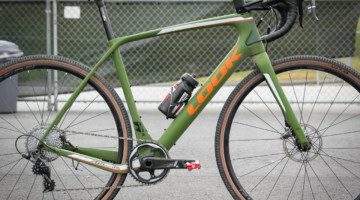 Cyclocross races really have a very grass roots feel too them still in North America, even the bigger events, helps bring me back to the pure joy of racing my bike. What bike(s) will you be riding? I am riding Ridley X-Night Disc with Stan’s Carbon Valor wheels, Shimano Ultegra Di2 and Kenda tubeless tires. Probably the most unique thing about my bikes is they will likely be the only tubeless setups in the Elite races. I don’t have to travel with nine sets of wheels and I can change my tires the night before a race! Any hopes or expectations for the race? 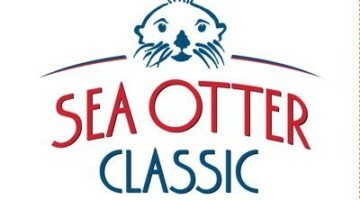 I know it’s cliche but I really want to have the best race I can possibly have. I think if I’m able to pull my game together mentally I have a shot at cracking the top-15. 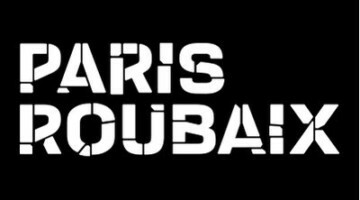 The current National Champion, Mike Garrigan (Van Dessel/POC/Shimano) is probably the most recognizable name on the Canadian Worlds team. 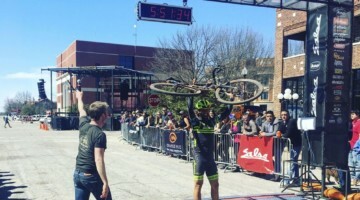 Spending much of his time in New York and Toronto, Garrigan races the majority the New England-based UCI races and has racked up a number of UCI podiums over the years. This season, Garrigan landed his second national title in Winnipeg this year after attacking on the first lap and holding off Geoff Kabush and Michael van den Ham by just a handful of seconds. I changed a lot of things, I started working with a coach right after nationals, His Name is Stephen McGregor. We were both really motivated to make gains on top of the fitness I had at nationals but my body thought otherwise. I ended up taking a bit of time off before we even got started due to a bum knee and broken nose but we got going eventually. So I have been training. Financially, I asked my current sponsors Van Dessel, Shimano and POC if they would be comfortable with me bringing a few additional supporters on board. Now I have some new kit and a great list of supporters. I added Trimble events, P2Abike.ca and Anti-Anti NYC. My first road bike was a ’cross bike, I loved riding it everywhere, I really loved that bike. 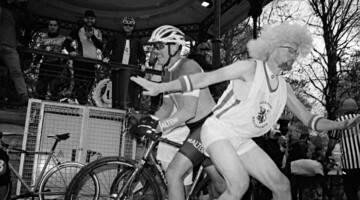 When I learned of ’cross racing I was naturally drawn to it. I remember the first time I went to a “big” race. Greg Reain and I drove in my VW Scirocco to the 2001 Ontario provincial champs. I think I won the U23 and he won the Senior Men. We where pretty proud of ourselves on the way home. From there I just fell more and more for the discipline.. It’s never really mattered if I have had a great summer of training or not. I am always excited for September to come. What does it mean to wear the Maple Leaf jersey in Tabor? This will be my first time racing in Tabor, pretty excited for sure. 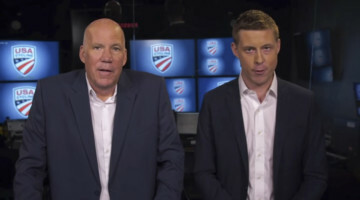 I know a lot of people will be watching from home or excitedly checking photos and reports from the big event that weekend as soon as they get a chance (I know I would be if I wasn’t there)! Back to the question though- I feel a responsibility to go to Worlds and represent the country on the Worlds stage as best as I can. Realistically I’m not going to be able to animate the front of the race but Ill be out there giving my very best I have on the day. I really feel a Worlds event is just that- racers from all around the globe representing their countries as best as they can both on and off the bike. What bike(s) will you be riding? Anything unique about them? Unique? Just that no one else has a better one! But seriously, I am really happy with my bikes. I’m on 2014/15 Van Dessel Full Tilt Boogie framesets with full Shimano Di2 Hydro Disc’s and a Dura Ace build. I’m running 38-46t rings and 11-28 cassette on the back. 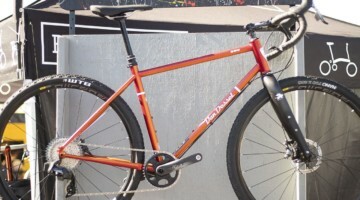 The kit is topped off with a PRO cockpit and saddle, XTR tubular wheels with 15/12mm thru axles and Challenge tires. 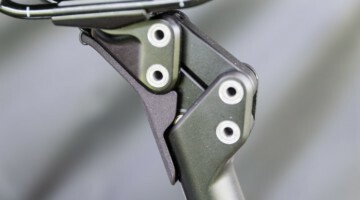 I’ll likely be on the new Baby Limus from Challenge if I had to take a guess of what I’ll be riding. It’s a pretty amazing bike. I just shake my head when I look at it sometimes. 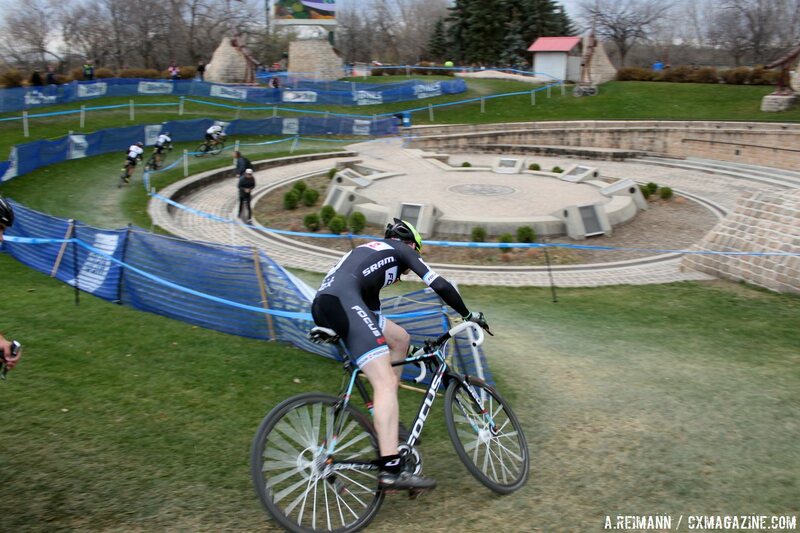 For a long time, Aaron was know as one of the the workingman racers of North American Cyclocross. That all changes last fall when he and his wife Emily picked and and moved to Germany for her work. This change allowed Schooler to land a sport of the Germany based Focus Team and base himself out of Europe for the past season. While we have not seen him race much in North America, it would not be surprising to see him put in a good result on the snowy Tabor course. I had a pretty bad infection in my leg from some road rash sustained at the world cups over Christmas, so I had to pull back on the racing and training while on the antibiotics. All good now just meant the first race back was last weekend. It actually worked out quite well because I prefer doing a training block like that before big events. Had some good intervals mixed with a good stretch of nice weather so I’m looking forward to getting back to big racing. Financially, well I don’t work right now so my true main sponsor is my wife Emily, but it’s always hard when I have a fully supportive team in Europe and I get a big bill at the end of the trip from Cycling Canada just to attend Worlds. When I started racing in May 2006, it was because it was the first summer I had off of doing full time army stuff since I joined in 2002. I was pretty keen on keeping busy and fit throughout the summer. I had a road bike and raced road that summer, but coming from a MTB free ride background some friends told me I’d be good at cyclocross. So I bought a frame, used my road components and started racing that fall. 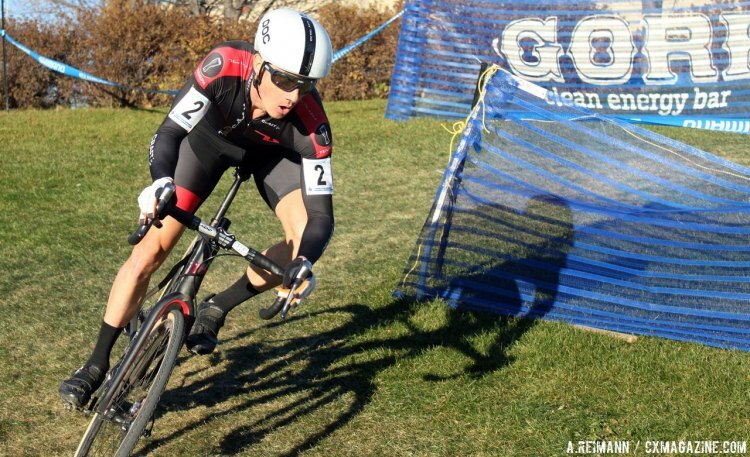 At provincials I missed out on the Alberta team, by nationals I came second, which automatically qualified me for my first worlds, then by worlds I was arguably one of the fastest U23 riders. It was pretty quick progression for me and I’ve made the worlds team every year since then if I wanted it. For me Worlds is just the icing on the cake. 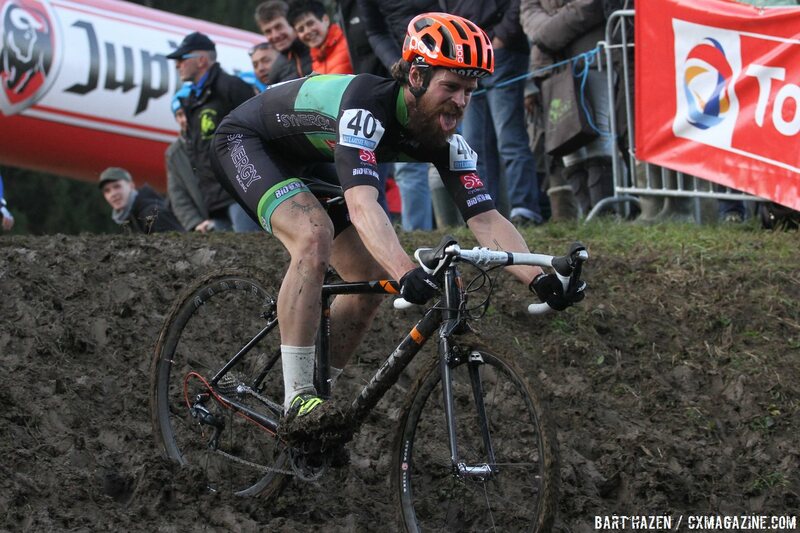 I always love racing worlds because it’s the spectacle of cyclocross, there is nothing higher. But this year will be special for me because I was able to get a custom ski suit done up with my trade team logos on it. I’m pretty happy to be able to give back to my team in this way as I’ve never been able to do that before. 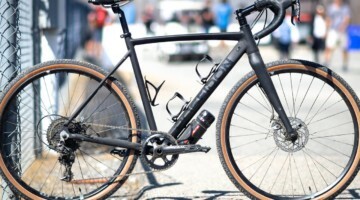 I’ll be on the Focus Mares canti bike. 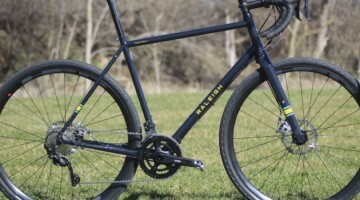 After two years of racing disc brakes and being one of the early users of them on the North American circuit, I’m back on cantilevers because one of our main sponsors, lightweight, doesn’t yet produce disc wheels. Next year I’ve been assured otherwise. Also for my bikes, I am running fully sealed cables from Jagwire, the indestructible chain rings from WickWerks and the Eggbeater a from Crankbrothers which should all come in handy in the sub zero temperatures in tabor. I try not to set my expectations too high and just think about preparing myself as good as possible, but a really good race for me would be a top 40. Something I think is a reasonable goal on a really good day. Mark McConnell (Synergy Racing), also known as Hot Sauce, has become a popular figure in the Belgian cyclocross scene. McConnell’s good-natured attitude, bushy beard, and Hot Sauce-themed apparel even earned him a spread in Het Nieuwsblad this winter. For most of the year, McConnell is based out of Calgary, AB where to works as a courier and races locally. 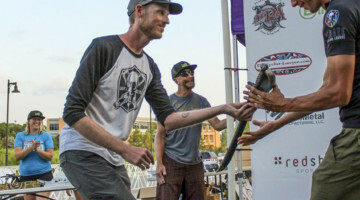 This season marked his second trip across the pond, the first coming two years prior with fellow Worlds teammate, Aaron Schooler. Mark has been getting closer and closer to finishing on the lead lap throughout his European campaign and we expect that, compared to the muddy races in Belgium, Tabor might offer him the best shot at accomplishing that. I hopped the pond two months ago and have been racing in Europe since the World Cup in Koksijde. Having the opportunity to race against the World’s best ’crossers week in and out has been a humbling but incredibly valuable experience to my development. I’ve also been without the typical distractions of back home, like holding down a full-time job for instance. It’s been been fantastic living the life of a full-time cyclist, but since I’m not paid a living wage to do it, I’ve had to creativity find alternative ways to source income while racing and training abroad. This year, I’ve been fundraising all season by selling my nickname turned grassroots cycling branded ‘Hot Sauce’ cycling caps to riders Worldwide. Check out ‘Hot Sauce Cycling’ on Facebook for more info. This is your first time representing Canada on the World Stage – What does it mean to wear the Maple Leaf jersey in Tabor? When I started racing bikes five years ago, I wrote down the goal of making a Canadian National team in cycling. This Sunday in Tabor will represent the accomplishment of said goal. Wearing the Maple Leaf is also the closest thing I’ve equated to wearing a Canadian Superman costume, so that will feel pretty nifty as well. 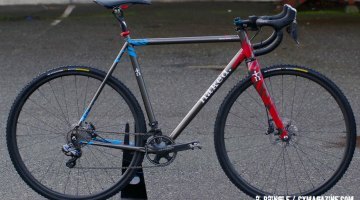 This year I’m running a couple of stock Trek Crocketts. 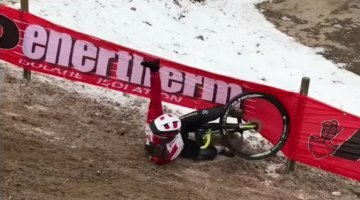 I figured if they were good enough for Katie Compton to crush World Cups on last year, they’d be good enough for the rigors I’d put them through as well. 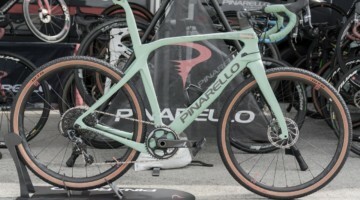 The extra $2000 I could have spent on a couple fancy carbon bikes went to racing two extra World Cups in Europe this year instead. To me, the experience outweighs having the best gear. 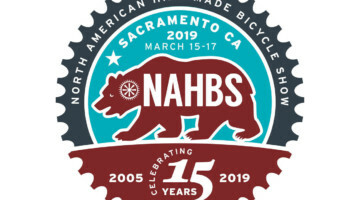 That’s not to say I don’t dig nice rides… I’m currently looking for a bike sponsor for next year. Any takers? I’ll make you famous.